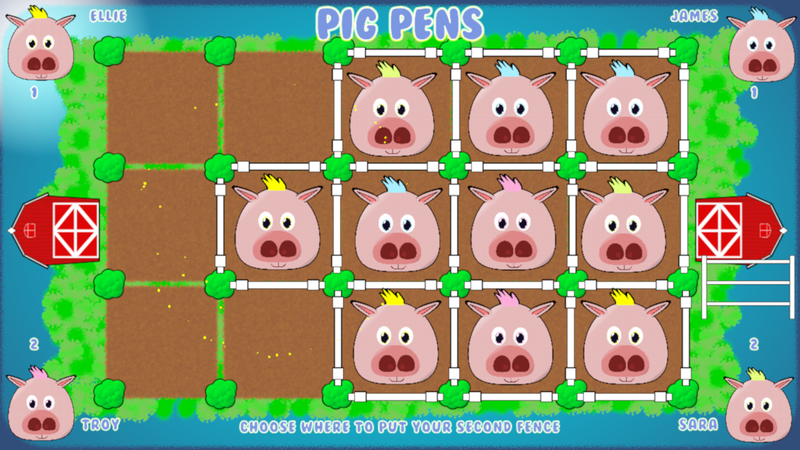 Pig Pens is a simple game aimed at children from 4 years and up. 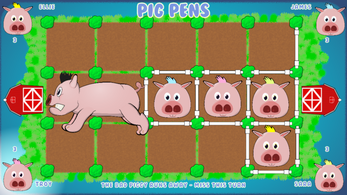 See the maple.scot website for how to make your own Pig Pens physical board game to play at home. The video game is mostly the same as the physical game. 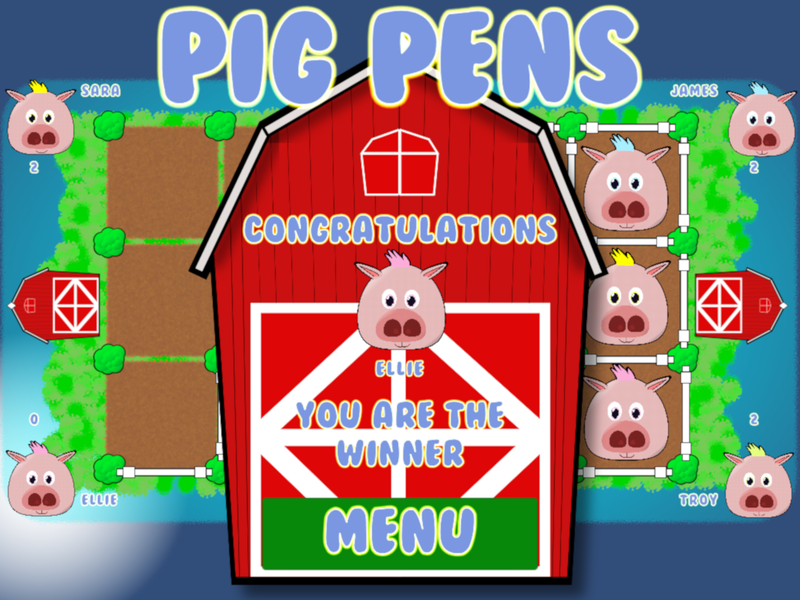 Each player takes a turn going to the barn to get a fence piece. 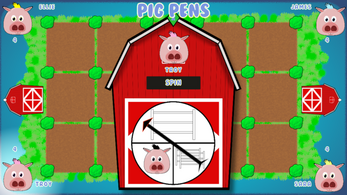 Spin the spinner to find out what you get from the barn. 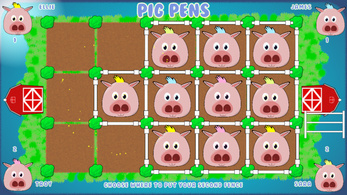 Closing a pen - If you can place a fence piece to finish a square then you win that square - 1 of your piggies will jump in that square and OINK with satisfaction! 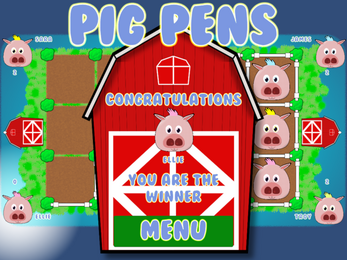 The winner is the first player to pen all of their piggies. It's a good idea not to give pens away. 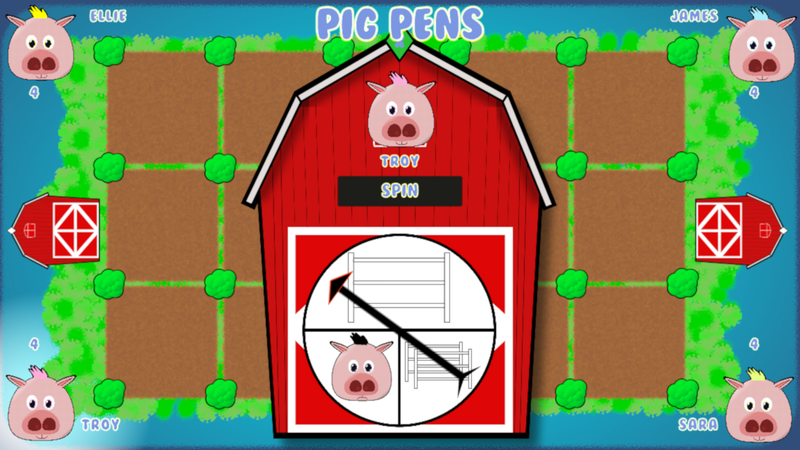 Try to place your fences so that the next player can't steal a pen from you. I started making this video game because I wanted to learn Unity. I don't really own the concept of the game and I'm not trying to make any money from it which is why the game is free on all platforms. 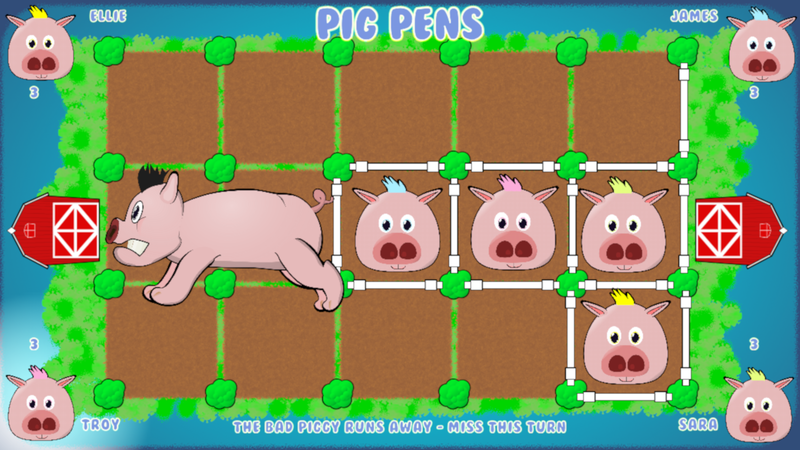 As I'm trying to learn I have also made the source code to the game available online at github.